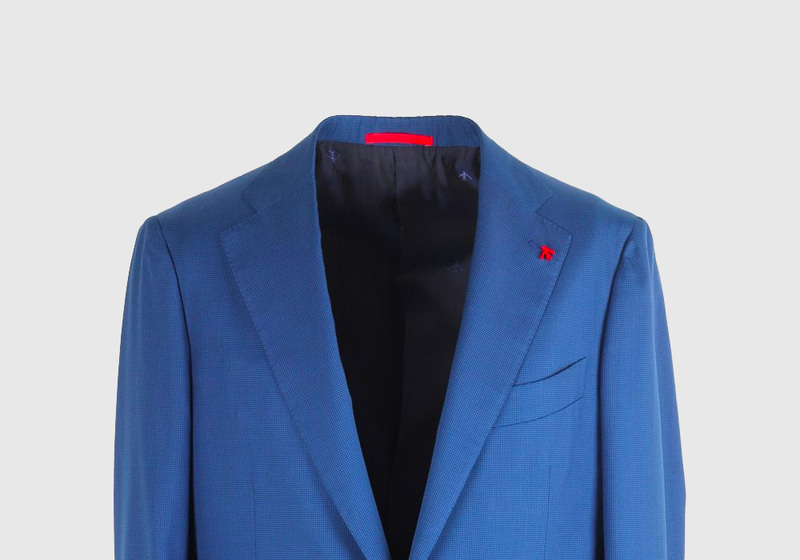 Red Coral is widely considered to be a good-luck charm in Naples, which is why Enrico Isaia chose it as the brand’s logo when he opened a fabric store. 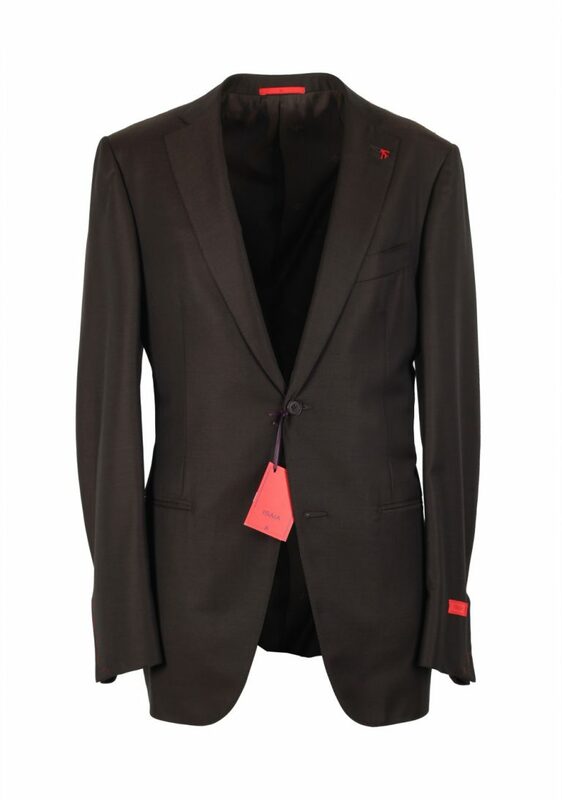 The red coral logo is mostly found in the lapel pins that come with the slim fit suits, which have a modern cut. The current designer, Leonardo Genova, grew up surrounded by clothing ‘a pane e tessuti’ in his own words, which translates to ‘eating bread with fabrics’.